Do you live in South London? Interested in finding out how feasible and how much a loft conversion would cost? 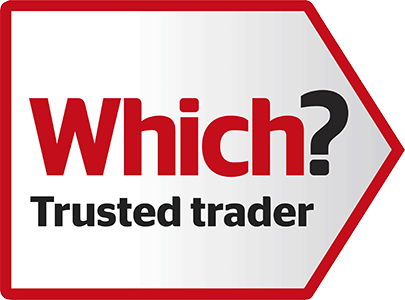 Contact us today to arrange a no-obligation survey by one of our loft conversion experts, and at a time that suits you. We've been converting lofts in Dulwich and the wider London area for the past 25 years. We're a family-based company, and we've been in business for 25 years. Quality craftsmanship with minimal disruption to your daily routine. Our loft conversions don't cost the earth. At Dulwich Loft Conversions we have specialised in designing and building beautiful bespoke attic and loft conversions in South East London since 1990. 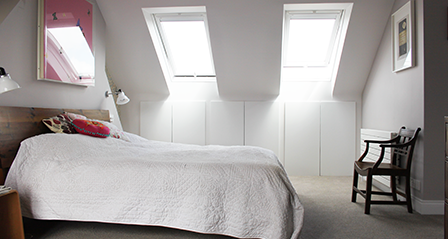 Over the decades we have completed hundreds of loft conversions and revealed the true potential of numerous South London homes by revamping redundant attics into useful and comfortable bright living spaces. Is there enough space to convert my loft? The most important thing to think about is the ridge dimensions, particularly the height, so measure from the uppermost point of the ceiling joists to the lowermost point of the ridge. The absolute minimum for a flat roof dormer build is around 2.2m (2.4 yards). For a roof window build, this is going to be around 2.5 m (2.7 yards). There are some instances in which homeowners have worked with less than this, and raised the roof or brought the ceiling down as a solution. Do I need to get planning approval? The 2008 laws concerning conversions deem this kind of loft or dormer build as a ‘permitted development,’ which means that, as long as there is nothing unusual or worthy of note about the project, you will not need planning approval to go ahead. However, you do need planning approval to expand or change the roof space in any way which is not covered by these new laws. You are permitted a space expansion of 40 cubic metres (terraced properties) and 50 cubic metres (detached and semi-detached properties). You may not build any extension which travels beyond the plane of the existing roof slope of the principal elevation which fronts the highway. In other words, you cannot build a dormer which looks out onto the road. You may not build an extension which goes beyond the uppermost point of the roof and all resources used must appear to be in the same style as the existing structure (to be precise, they cannot be wildly different from the other houses on the street). If you have side facing windows, they need to be obscure glazed and all openings must be at least 1.7 metres away from the ground. As for dormer extensions, (the exception is hip to gable builds), they must be set back (ideally, as far as possible) at least 20 metres away from the eaves. If you live in an area of extraordinary natural significance or value (a national park, for example), you will usually not be allowed to alter your roof at all without special permission. It is important to note, however, that most loft builds (even those with big dormers) tend not to need any kind of planning approval. This is because the build is usually considered to be a personal development which does not have any impact on the surrounding area. How much do conversion projects cost? As an estimate, a standard dormer conversion project will cost upwards of £17,000. 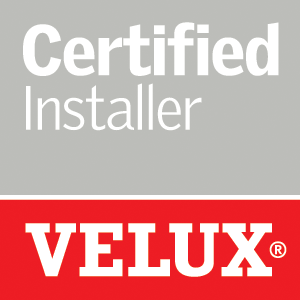 There are some Velux conversions which can be bought for a little less (they start at around £13,000). The reality though is that the cost will vary greatly, depending on where you live and what kind of build you would like. 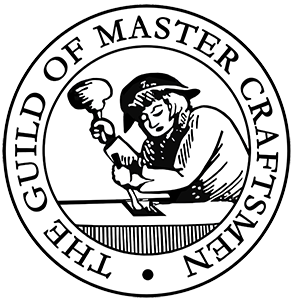 As every build is completely unique, it is a good idea to arrange a consultation appointment with one of our experts. “Always contactable by phone and email. Very responsive when contacted. Makes regular visits during conversion. Not as much upheaval as expected. Hence overall experience was good. Very friendly and helpful."